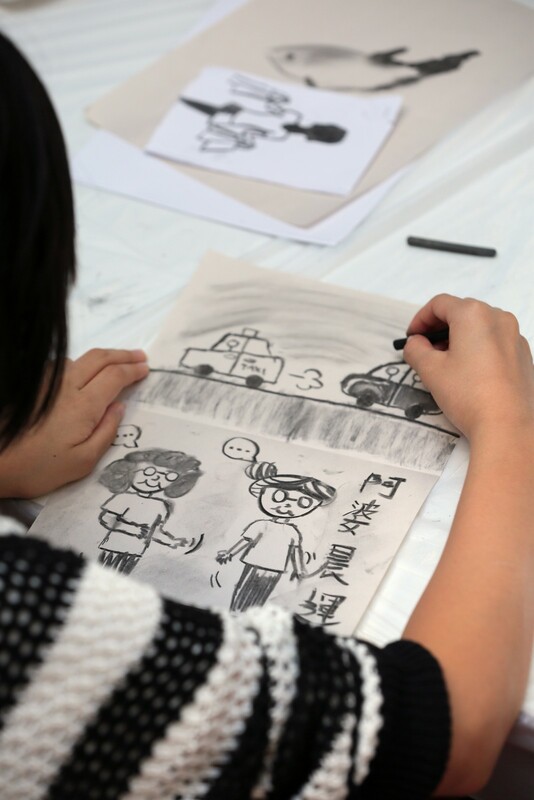 “History and Imagination – Whampoa”, is a celebration of the past and present of Whampoa. 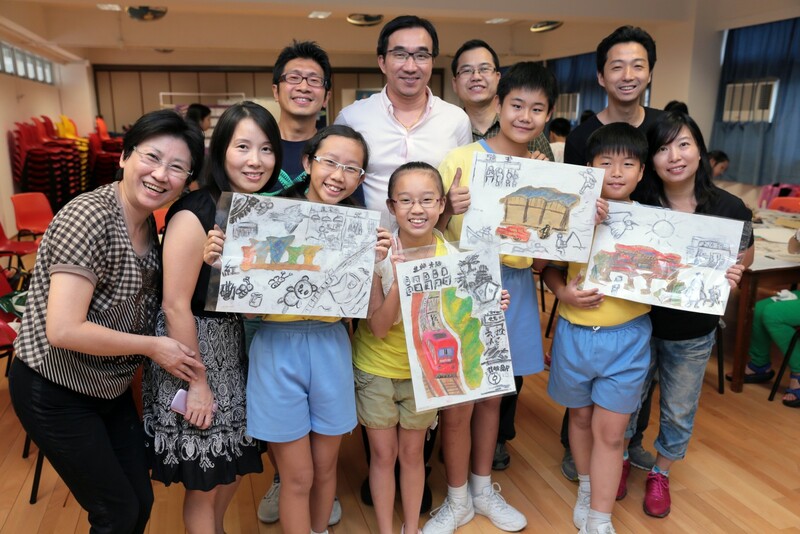 Created with the participation of the local community, artist Lam Tung-pang has integrated the communities’ memories, historical images and students’ drawings in a mural that enriches and inspires the imagination. 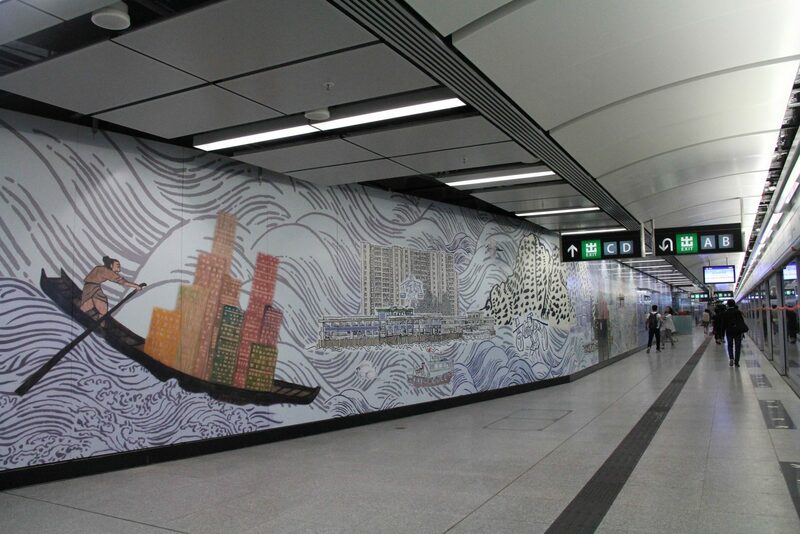 With his distinctive artistic style, the artwork uses traditional brush drawing as a background but also integrates the different aspects of a community in constant movement and development; the people, buildings and landscape of Whampoa and the surrounding area are portrayed in a range of vibrant colours. 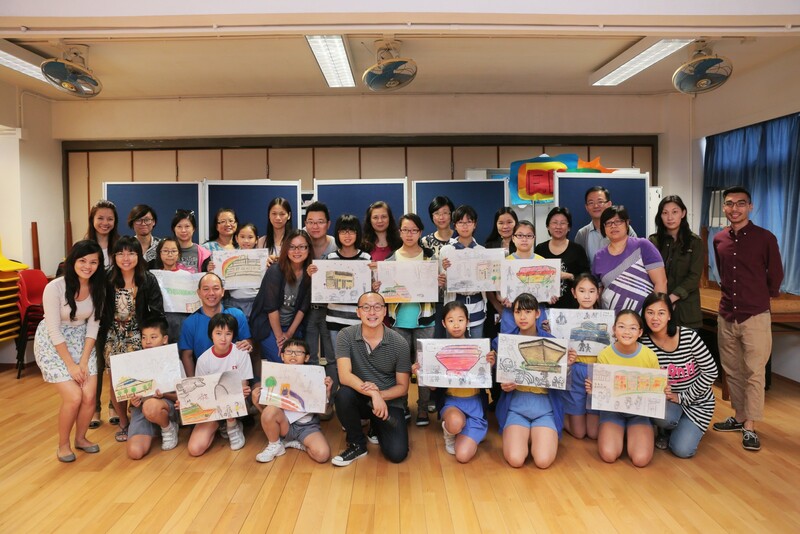 To create an artwork which symbolizes Whampoa, two Community Workshops were held on 28 September 2013 and 26 October 2013. 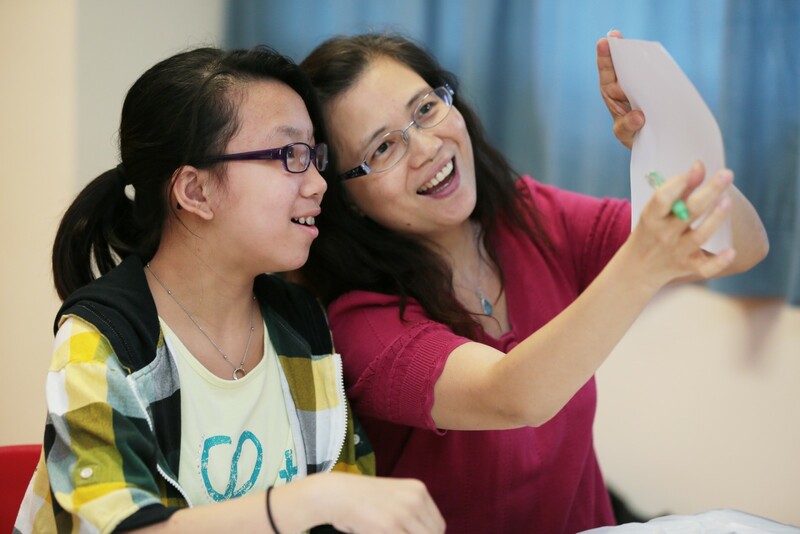 30 pairs of primary school children and their parents have participated in it to bring inspiration to Lam Tung Pang. Lam Tung-pang studied Fine Arts at The Chinese University of Hong Kong before undertaking an MA at Central Saint Martins College of Art, London. He’s works often relate to specific situations in collective memory and social content. He paints in the style of Chinese landscapes but at the same time integrates the different contradictory fluxes of a society in constant movement where – the art itself becomes the journey and multiple landscapes connect places, times, memories and dreams.